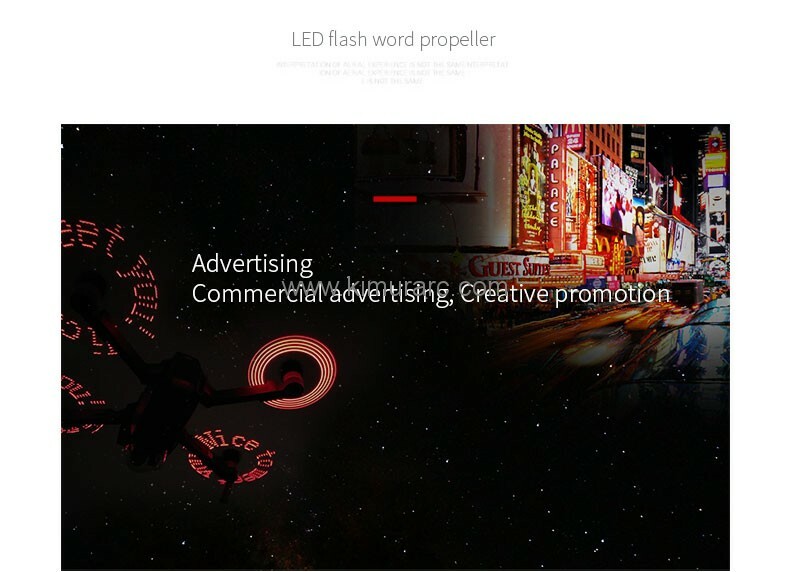 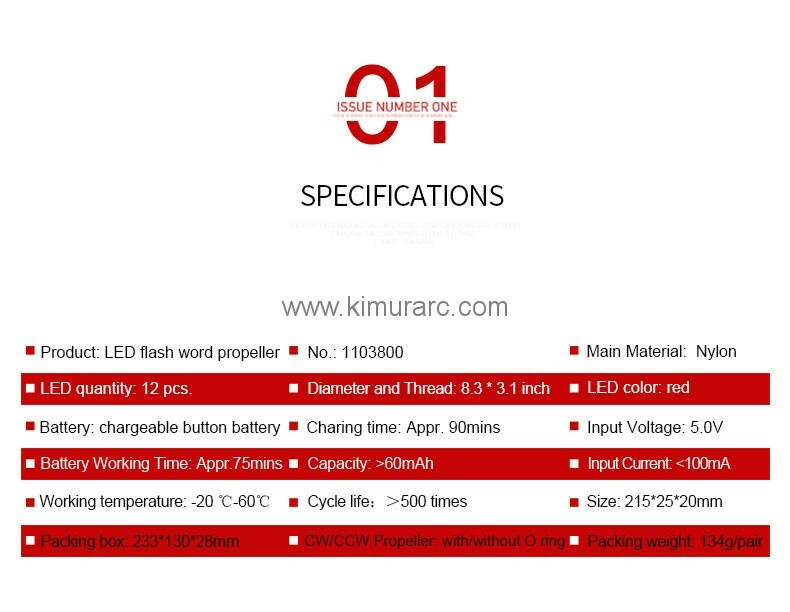 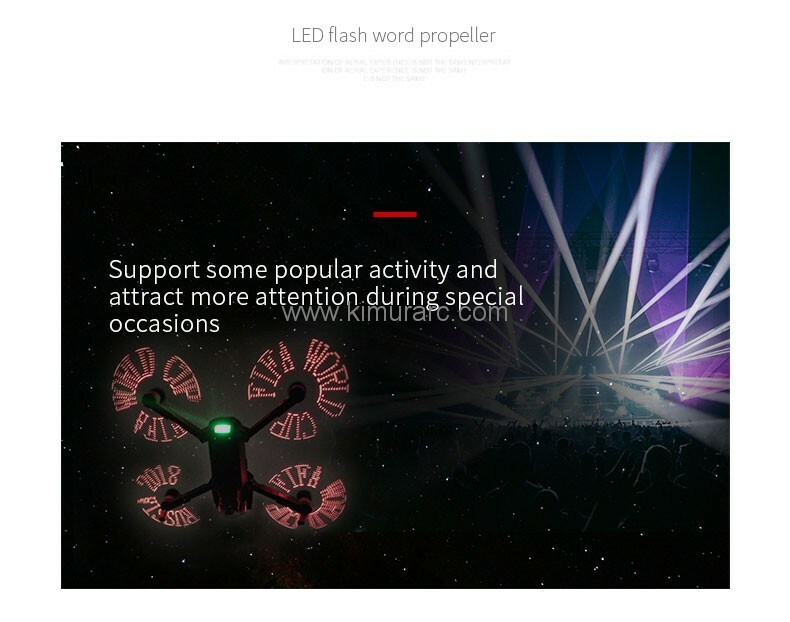 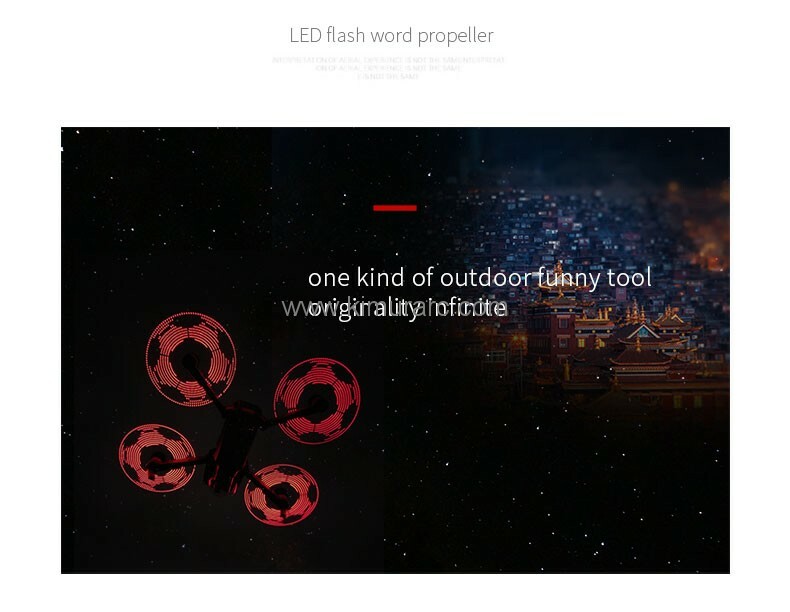 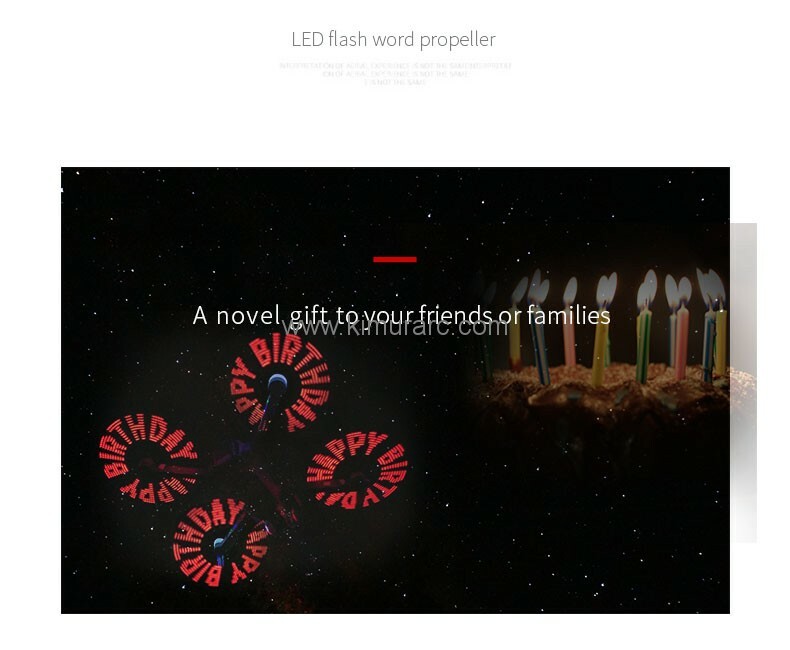 LED flash word propeller is a new innovative product. 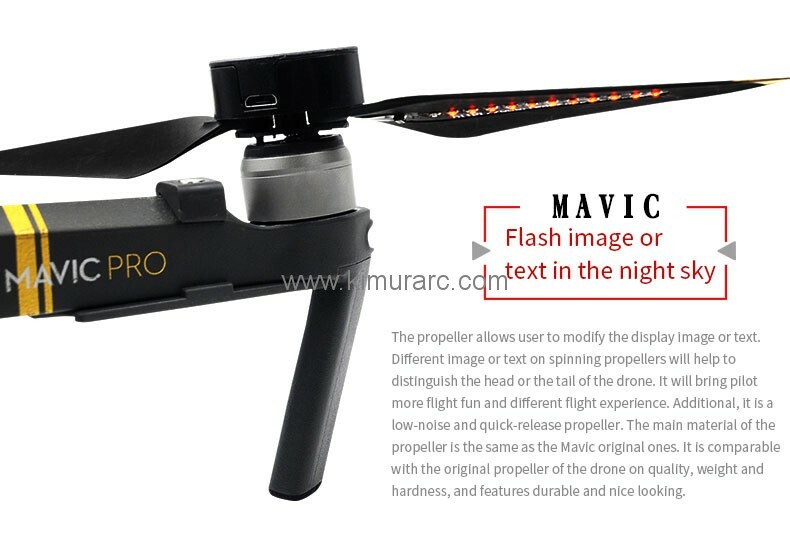 It was designed for Mavic Pro and Mavic Platinum. 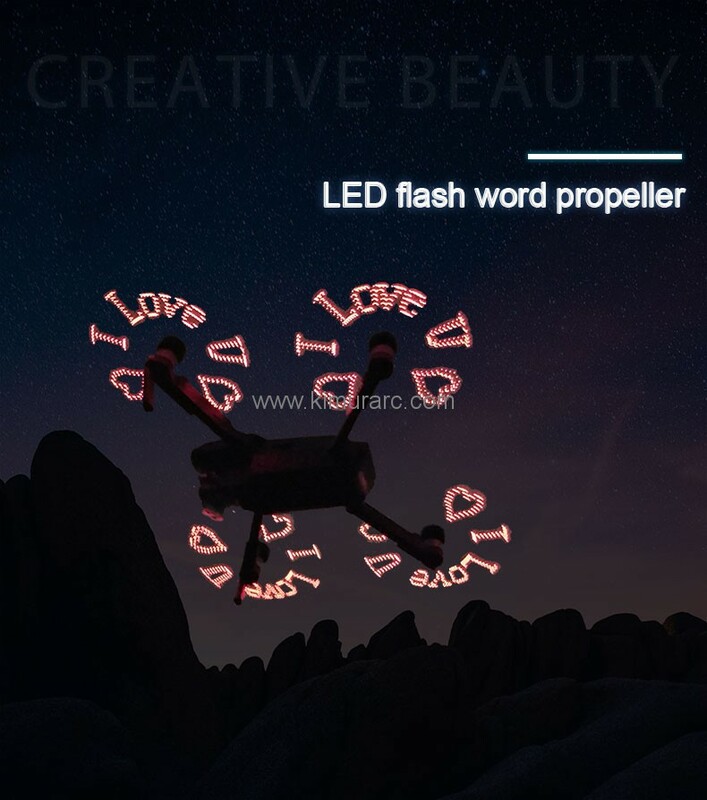 There is a row of programmable LEDS built into the propeller as it spins, the phenomenon of persistence of vision creates images or text floating in the air. 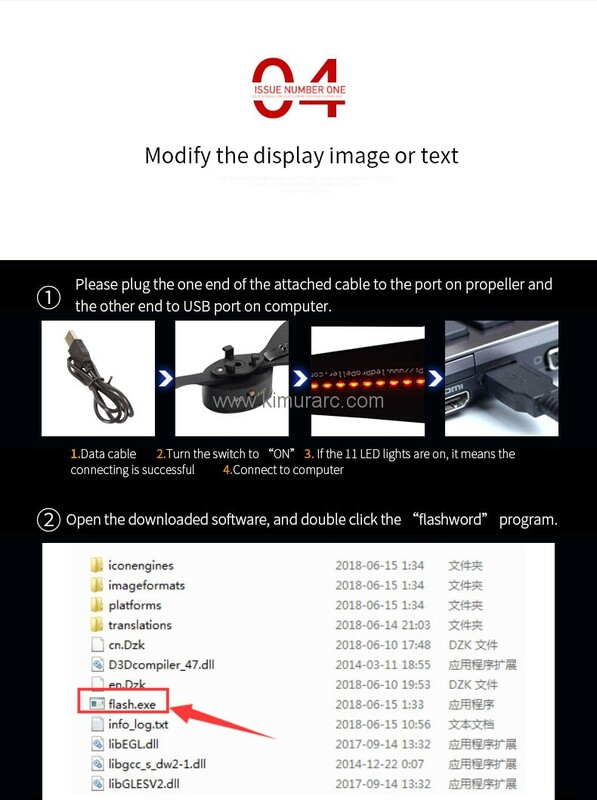 The image or the text will be programmable on computer. 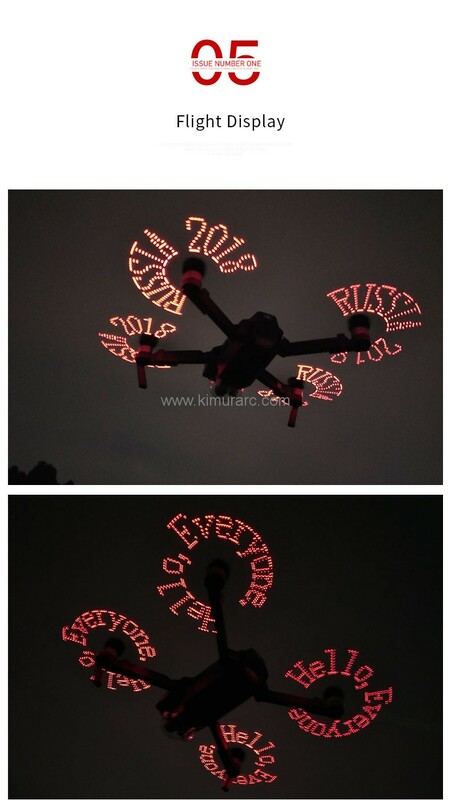 It will be a conspicuous mark for night flight when the drone is attached the propellers. 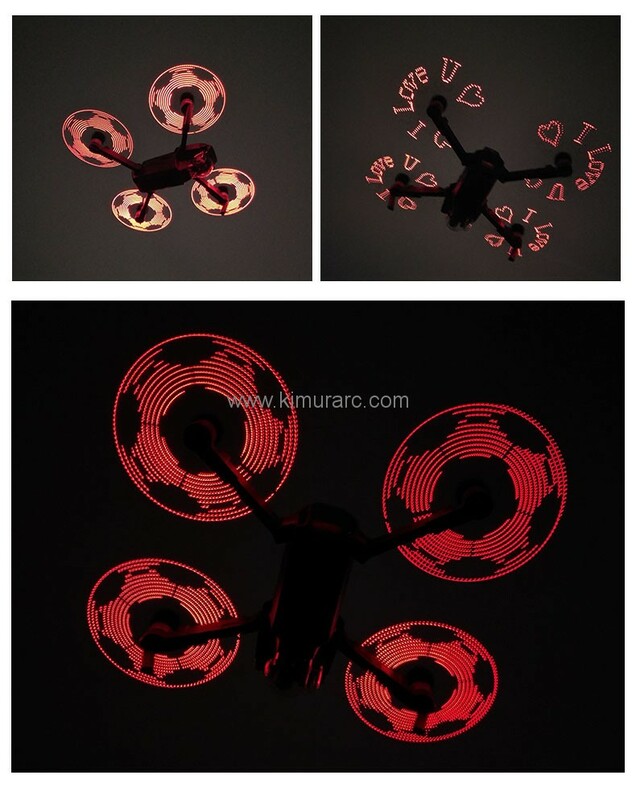 Different image or text will help to distinguish the head or the tail of the drone as well. 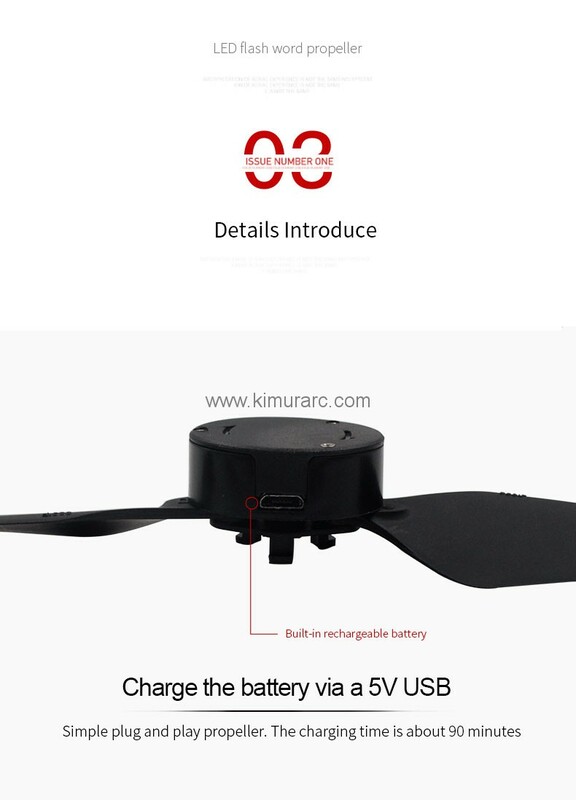 It will bring pilot more flight fun and different flight experience. 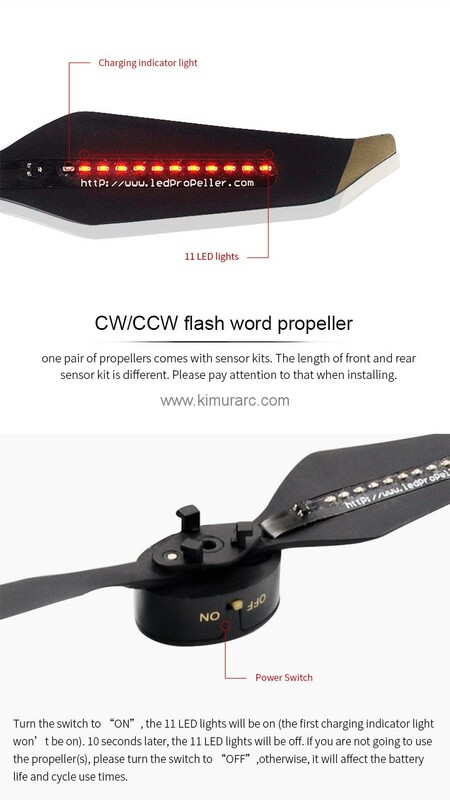 Additional, it is a low-noise and quick-release propeller. 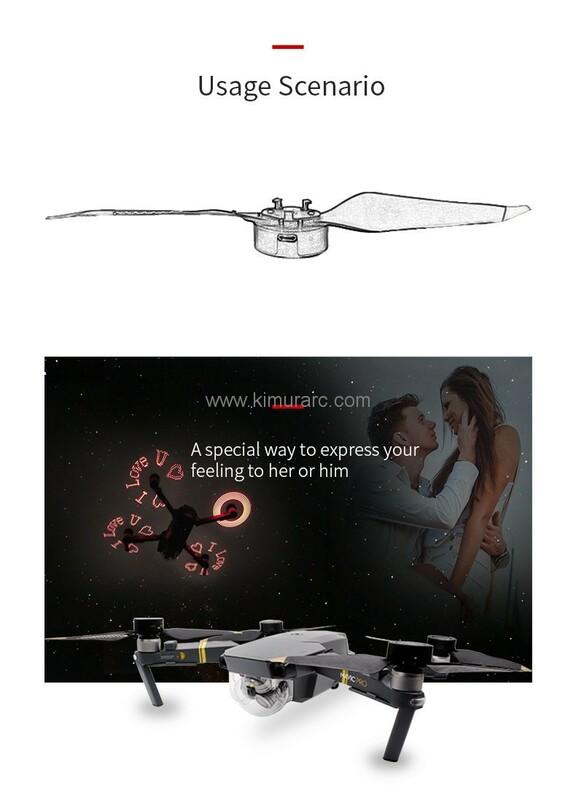 The main material of the propeller is the same as the Mavic original ones. 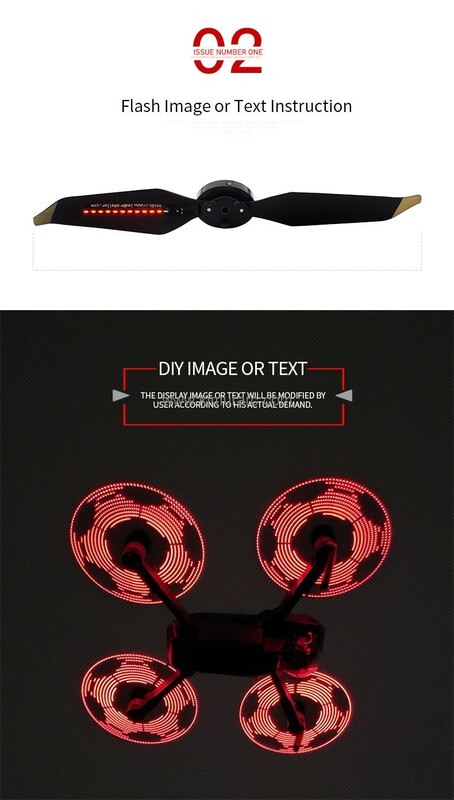 It is comparable with the original propeller of the drone on quality, weight and hardness, and features durable and nice looking.